Parts (Bb soprano sax, Eb alto sax, Bb tenor sax, Eb bari sax). Composed at the invitation of Nexas Quartet (Sydney, Australia), Slipstream is the latest addition to my catalogue of saxophone music which, to date, includes a solo piece (Air Traffic Control), music for saxophone and piano (Crazy Logic, Flight of Fancy, Hurly Burly), three saxophone concertos (Flying Colours, Carnival Capers, Escapade), a saxophone and marimba piece (Whirled Music) and a saxophone duet (Flight of Fancy). 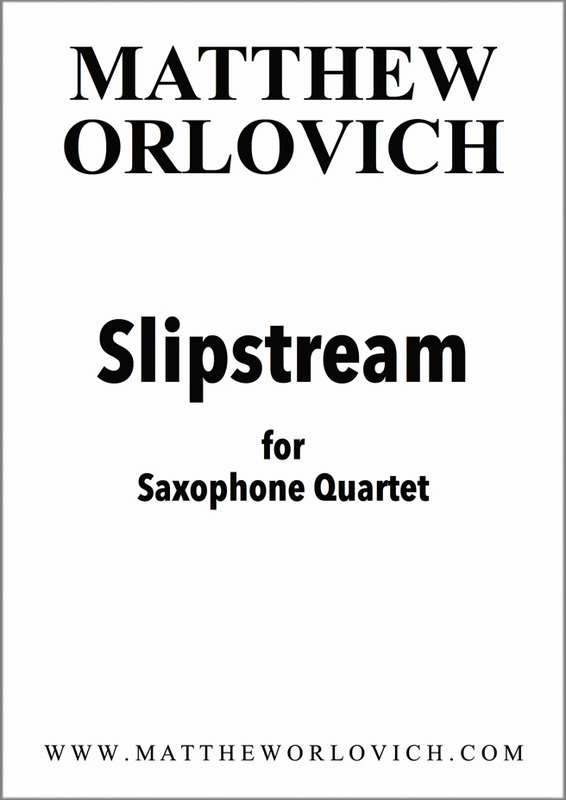 As suggested by the work’s title, Slipstream follows hot on the heels of my earlier saxophone scores, taking advantage of some of their musical ideas, such as biting rhythms, angular melodic contours and symmetrical forms. My title also nods in the direction of the cycling world and to the art of slipstreaming or drafting, as it is known in cycling parlance. This advanced skill allows a rider to closely follow another rider, travelling in its slipstream while awaiting an opportunity to overtake. 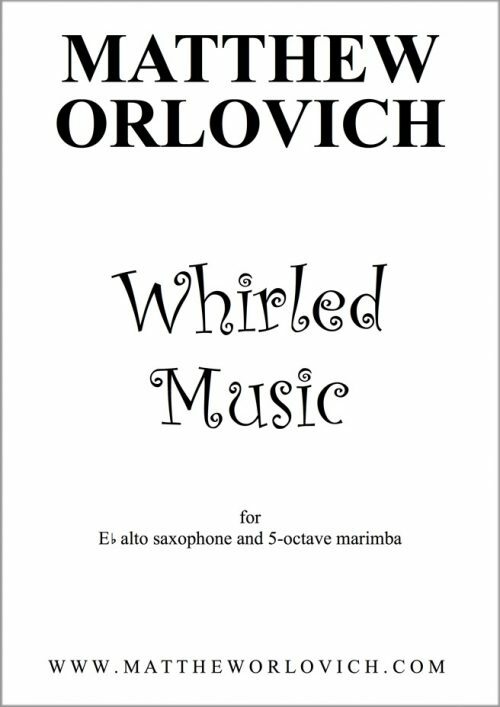 Scored for saxophone quartet (plus a bicycle bell), all three movements of my piece are characterised by an exuberant mood and feature a fair amount of jostling counterpoint. 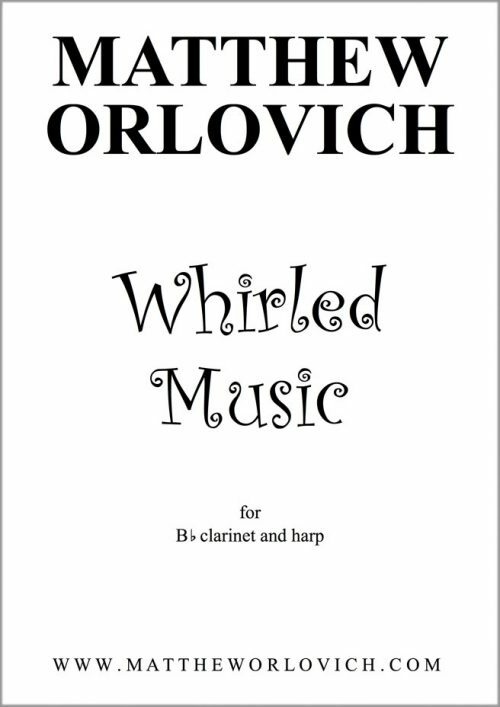 The first movement (Allegro, alla fanfara) is energetic and a little bit rollercoaster-esque in its melodic contour. 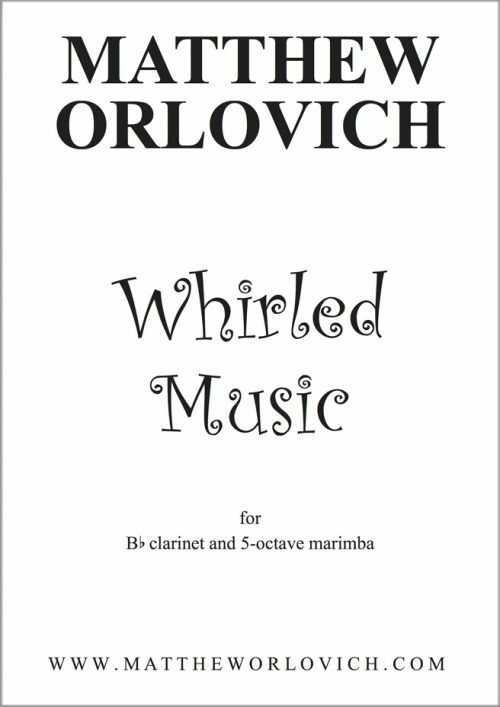 The middle movement (Con ritmo) juxtaposes two contrasting musical characters: “groovy” versus “straight-laced”. Marked Sentirsi bene (Feeling good), the third and final movement recaps material from the first movement, albeit at a quicker tempo and in the manner of a race to the finish line. Between the cycling world and the world of the saxophone quartet, there are many parallels that one can find, not the least of which are the pursuit of precision teamwork and an abiding love for “the thrill of the ride”. I warmly thank Michael Duke, Andrew Smith, Nathan Henshaw and Jay Byrnes of Nexas Quartet for inviting me to compose Slipstream and for giving the world premiere performance on Tuesday 29 November, 2016 at the Utzon Room, Sydney Opera House, Bennelong Point, NSW, Australia.